E-waste or electronic waste refers to all types of electronic equipment and gadgets, such as cameras, cell phones, light bulbs, laptops, printers and microwaves as well as accessories which end up being dumped on land or water. If you have electronic items which have stopped working and are as good as waste matters, it is a good idea to opt for e-waste recycling. Read on and know about the main advantages of this type of recycling. Most of the natural resources happen to be non renewable in nature. With e waste recycling, the valuable components can easily be separated and allowed to recover. This allows the production of new items with the use of the same components. This allows reducing pollution, save the resources and also save energy. E wastes have a lot of toxic chemicals which are harmful for the health of human beings, as well as the environment. Those around electronic wastes are always at risk of suffering from some serious ailments and health disorders, due to breathing of toxic chemicals in these materials. Once e-wastes are allowed to remain on the land in an unprocessed form, they can contaminate ground resources. By recycling e waste matters, you can reduce the amount of pollution in soil, water and air. 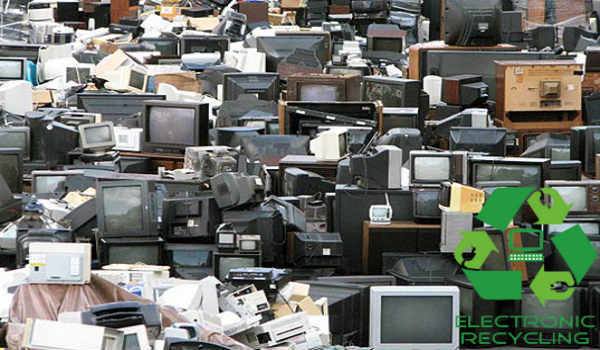 By opting for electronic waste recycling Adelaide, you can lower the amount of space required for landfills which are the areas that are needed to cover waste materials. By reducing space needed for landfill purposes, you can ensure that these areas can be used for housing or agricultural purposes. With recycling, more and more employment opportunities can be created. With more e waste recycling facilities being set up and the existing agencies hiring more employees for the reprocessing, you will be able to save nature and support the economy. Exposure to nickel, cadmium, lithium, mercury, glass and various other components contained within electronic materials can cause long-term damage to health and the environment. There can also be cancerous developments in some cases, which is not uncommon. Other than humans, domesticated animals and pets may also suffer from cancers and other conditions. This can affect livestock and meat products, and affect the health of grown-ups as well as kids. With recycling, you can prevent all such issues and safeguard health and ecosystem.